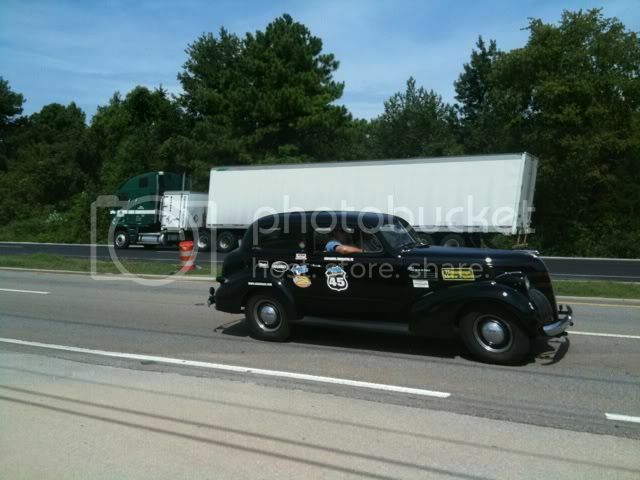 Ive just seen probably 10+ 1940 or older cars (fully restored) drive by work on 72 heading East. They all have stickers on them, too. Is there some sort of rod run going on? Here's a couple of pics I snapped of 2 that came by. Not bad for iPhone pics haha. Last edited by Beckham; September 16th at 10:53 AM. Yep, it's the rod run this weekend. Great pics Beck! Keep capturing away. I bet you see a lot of cool stuff go by there each day. Maybe you guys should put a live web cam out there--The Speakerbox Trafficam. There weren't many more that went by after I took those. I wish I could have got pics of the ones that went by before. There were quite a few really nice ones. I saw a couple heading west on Ryland Pike today. Looked more like an antique rallye to me because of all the stickers on them.One of the ones I saw was an old speedster. OMG, that's right! I forgot about this. 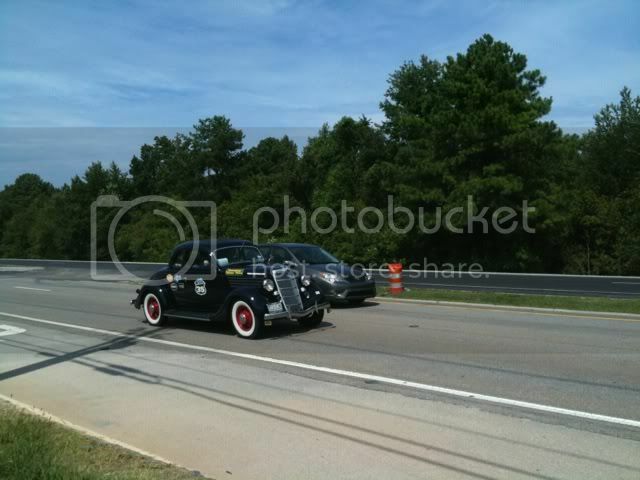 'The Great Race', which is some sort of antique car race was supposed to come right through Huntsville. I remember reading about it months ago, but never found any detailed info. It's like the Hot Rod Power Tour for the antiques. Wonder if they make a stop at BoomDays in Ft.Payne. Last edited by LagoGarda; September 17th at 05:10 AM.